So, any exciting plans for the weekend? We hope you have something relaxing and fun on the calendar. And speaking of which, today we’re going to look at some of the clever ways that ecommerce web designers make sites fun for the user—and how you can apply the ideas to your own page to make it even more appealing. Check out the latest important design and marketing news for some inspiration! As a business owner, you don’t want potential customers to have this experience, because the last thing you want is for them to decide to shop elsewhere! Of course, the best policy is to make sure your company’s site is free of broken links—but even on a page run by the most diligent of webmasters, some users can wind up in no-man’s-land. So it’s best to be prepared with something better than an unattractive and unfriendly error page. Renee Dudley of Bloomberg highlights The Boston Globe’s lighthearted and appealing way of handling this issue: with a photo of former Red Sox player Bill Buckner making the infamous fielding error that supposedly cost Boston the 1986 World Series against the Mets. (The poor guy will never live it down, though it appears a majority of the Red Sox Nation has forgiven him.) Bostonians were anything but amused at the time—but almost 30 years later, it’s likely that they’ll chuckle at the pun (especially since their team holds the current Series title) and use the handy search feature the error page provides. This is a really wonderful example of making sure the user experience is easy and enjoyable. Don’t let your users be turned off by an impersonal error page—make them laugh and redirect them to the rest of your site by making this kind of practice part of your web design strategy. Here’s another way to keep shoppers smiling and engaged: Easter eggs. No, we don’t mean the mini Cadbury variety—though keeping some of those by the register in your bricks-and-mortar store wouldn’t be a bad ploy either. 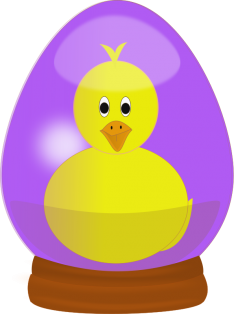 Easter eggs are hidden messages in media like software and video games. Google likes to surprise users with these from time to time, and it’s part of why so many people think of the search engine giant as whimsical and fun. Linda Bustos of Get Elastic has compiled a list of 5 Places to Hide Easter Eggs in Ecommerce Marketing, complete with great examples, and she includes the 404 error page as one of them. Check out these fun little surprises, and ask yourself if there’s somewhere you could include a harmless “gotcha” that will have users cracking up. Is there room in a comprehensive web design strategy for your sense of humor? You bet there is—in fact, it often enhances user experience. Have a great weekend … and have fun! That’s an order—it’ll help you brainstorm! Posted in Ecommerce 101, Google, Marketing Tips, News & Events, Web Design. Tags: Marketing News, marketing tips, web design strategy, web design tips.